Video Games / Re: Video game series that should come back? Granted, you get caught by Luigi's Poltergust 5000. I wish to fix my sleep schedule. Video Games / Re: Video games that make you cry? A very specific scene during TTYD's endgame. Also Pokemon Mystery Dungeon: EoD/EoT/EoS. Video Games / Re: Is it bad to pirate an old game everyone has played? I'm just glad that they've finally stopped region locking their consoles. Video Games / Re: What was the last game you owned? Second time I've purchased this game (first being on my old Steam account) and I've finished it in one sitting. At this point I'm thinking about just ordering a copy off of Amazon instead. Video Games / Re: Your favorite VG music. Video Games / Re: What game did you last play?!?!?!? Testing out my recently acquired Marina Amiibo and doing a few turf wars to kill some time, mildly annoyed that I keep getting disconnected every three or so matches. It kind of flew past my radar since the only Sony consoles I have is a PS2 and a PSP, but I'll try to catch it some other time if I can. Metroid Fusion does a pretty excellent job of instilling the feeling of dread onto the player especially during the SA-X segments where you slowly hear the SA-X's ominous footsteps echo behind you. Can't really think of anything for Day 16 at the moment, so I'll do Day 17. PokePark Wii: Pikachu's Adventure comes to mind. Shorter games with high replay value like Pikmin or Star Fox 64 I'm more likely to return on repeat playthroughs. 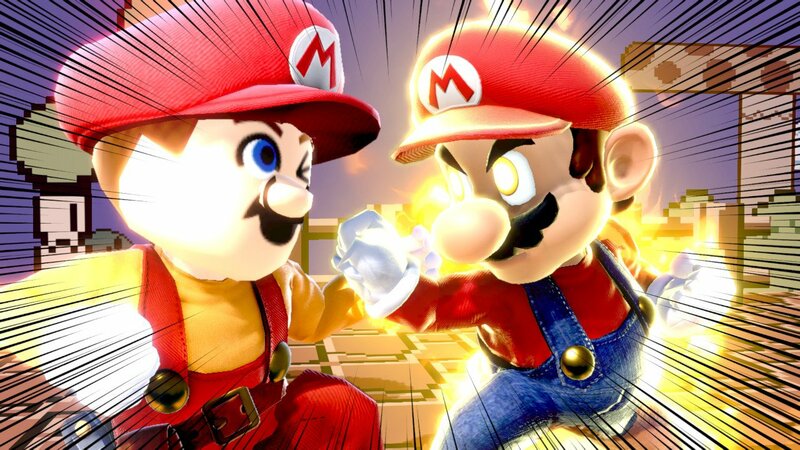 Super Smash Bros. / Re: Post Smash screenshots. "You might know everything that I'm going to do but that's not going to help you since I know everything you're going to do, STRANGE ISN'T IT!?"